Raising orphaned kittens on a large scale has long been considered a job better left to small-scale rescue groups, or achieved in small numbers by dedicated foster volunteers. The challenges of orphaned kittens led to this sad paradox: Kittens are among the most easily placed of all pets, and yet kittens too young to be adopted have suffered the highest euthanasia rates in many shelters. 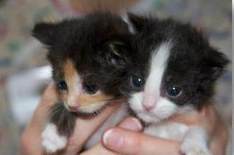 But the expansion of feline foster programs and, more notably, the establishment of kitten nurseries, are changing the situation for the better. Choosing life for infant kittens is also proving to be a hit both inside the shelter and in the greater community, with exuberant media exposure just one kitten feeding away. In Jacksonville, Florida, three organizations (First Coast No More Homeless Pets, Jacksonville Humane Society and Jacksonville Animal Care & Protective Services) came together to create a kitten nursery which saved nearly 550 kittens in its first year of operation, and is poised to double that number in 2013. "We work in close partnership with the City of Jacksonville's Animal Care & Protective Services, and with another non-profit called First Coast No More Homeless Pets," said Denise Deisler, Executive Director of the Jacksonville Humane Society. "We were looking at the euthanasia numbers, and asked ‘who was dying? And why were they dying?' Kittens under the eight-week mark certainly weren't the only at-risk group, but they were one of the largest at-risk groups, to the tune of about 1,500 kittens a year." Jacksonville Humane had a spare building and staff time (including a veterinarian) to contribute, and First Coast No More Homeless Pets had grant money from Best Friends Animal Society; both groups had volunteers ready to help. The city's shelter contribution was in large part the kittens themselves, taken directly to the nursery to avoid the stress of moving more than was necessary. The three organizations made plans to save 500 kittens, and when all was said and done, they'd topped their goal by almost 10%. The icing on the cake? Great media coverage of the program, including a section-front story in the local paper with pictures and too-cute-for-words video of local media personalities feeding the kittens. That coverage also helped to bring in volunteers, as well as donors who provided not only funding but also gave to the program through a "baby shower" at local big-box retailers. "We knew right out of the gate it was going to be a very iffy project, heavily reliant on volunteers," said Denise. "We were very clear about what our objectives were: That kittens were dying, and the only reason they were dying was from lack of resources, and that we needed volunteers to help. "We got many new volunteers, and I do mean many. We had work groups say, ‘oh, we'll take a Thursday afternoon shift,' " she said. "And we have some very active feral cat groups. They were instrumental in getting the word out and agreeing to take on shifts. It was both a group and individual activity, a swell of new volunteers." According to Denise, one third of all volunteer hours for 2012 were worked at the kitten nursery in its four months of operation. Even with the support of the community, the budget was tight - $10,000 to $12,000 a month. But it worked, and this year Best Friends has expanded its grant support to $120,000 - enough to run the program year-around in an area warm enough to warrant that expansion. "Everyone loves the program," said Denise. "It was just so easy for people to get behind it." On the opposite side of the country, the San Diego Humane Society and SPCA is celebrating its fifth anniversary with a kitten nursery that seamlessly integrates and expands an established foster program with in-house nursery care, saving three times as many underage kittens as through foster homes alone. "Before we opened the nursery we took in about 400 to 500 kittens younger than 8 weeks in a year, and typically, those would go right into foster," said Renee Harris, the organization's Executive Vice President. "We would only accept them if we had a foster open. Last year we had almost 1,500 kittens go through the nursery, and this upcoming season, we're anticipating 1,750 to 1,800." As in Jacksonville, the San Diego effort is a result of multiagency cooperation, in this case by the eight non-profit and government agencies in the San Diego Animal Welfare Coalition. Renee says the morale boost has likely been most significant at the county's animal control facility, where the outlook for orphaned kittens had long been poor. "They were in situations that they were having to euthanize kittens because they had no place to go, and they didn't have any options," said Renee. "Now we have a really successful program, and we're able to take the kittens through nursery and foster into new homes." While foster homes are still integral to the raising of young kittens, Renee says having the nursery provides the ability to save more kittens than through foster homes alone. It also provides flexibility that kitten raisers often need, especially in an emergency. "The bottom line is that we don't have enough foster homes, so the nursery is an ability to care for the kittens until we can find foster homes," she said. 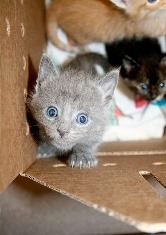 "It's also there if, say, an emergency happens and a foster has to bring the kitten back in. That kitten can go right in the nursery and be cared for." And what about using the program to build support for saving animals in the community? San Diego Humane's Michael Baehr, Vice President for Communications and Community Engagement, doesn't see a downside. "We get tons of media on the kitten nursery," he said. "This is an innovative program, and when you get this many kittens in one place and call it a nursery, it really creates very positive PR." And that makes it easier to spread the message of spay/neuter, says Renee. >"From an educational standpoint, the nursery has been able to give us an opportunity to visually show the challenges in a community with an overpopulation of cats," said Renee. "We can say, ‘we're saving these kittens now, but we need to get cats spayed and neutered, whether they be community cats or feral colonies or even personal pets that go inside and out.' 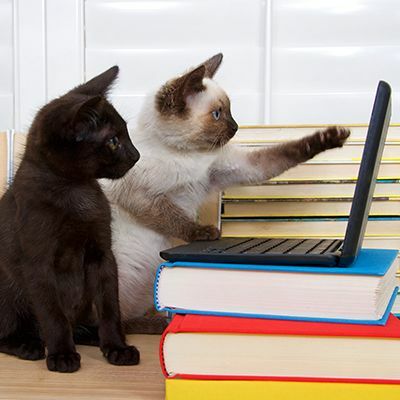 The kitten nursery has given us a new foundation so we can highlight these issues." While San Diego's program is humming along for its fifth year, the kitten nursery at Jacksonville Humane is getting some renovations for its second season. The three groups working together in north Florida have made changes to the building so kitten-raisers don't have to work outside in heat and humidity to clean bowls and other equipment, thanks to an added room for cleaning. "We had to find a way to move a cleaning room inside," Denise said, "and we spent January doing that, adding a beautiful room with four sinks. Our volunteers aren't going to know what happened when they walk in here." And not a moment too soon, because kitten season has already begun.